I came across this site the other day. Some interesting looking projects. Looking for a copy of VCO Chip Cookbook by Thomas Henry any ideas ? This is great stuff, folks, keep it coming! Thanks for this - impossible to find this stuff out there in webland. Needle in a haystack scenario. I see it's been a few months since you posted this, but if you are still looking I suggest buying the pdfs on Magic Smoke Electronics. While you're at it, get the Electronic Drum Cookbook! Circuits in both of these books are easy enough to make and experiment with a solderless breadboard, even if you are just beginning. Also, Horowitz and Hill's "The Art of Electronics" is a great read and resource. The third edition of the book "might be coming out in late 2013".. happy soldering! Bernie Hutchins' Electronotes remains the most indispensable resource for synth diyers everwhere. just buy everything he sells, build it all and become the next synth diy overlord. File as one of the truest first posts ever! i found the opamp section of http://www.play-hookey.com/analog/ very useful for beginners, and http://hyperphysics.phy-astr.gsu.edu/hbase/electronic/etroncon.html#c1 too. Analog Devices has some really amazing stuff freely available on their website. You can also buy expensive paper copies if you'd like. Lots of useful soldering info in this thread. uhh-uummm..... am i just noticing this thread for the first time? Good job on the EMS links. Seconded. This is an awesome thread. I'm sure many are aware of Ray Wilson, but I would like to bring up his book, Make: Analog Synthesizers. 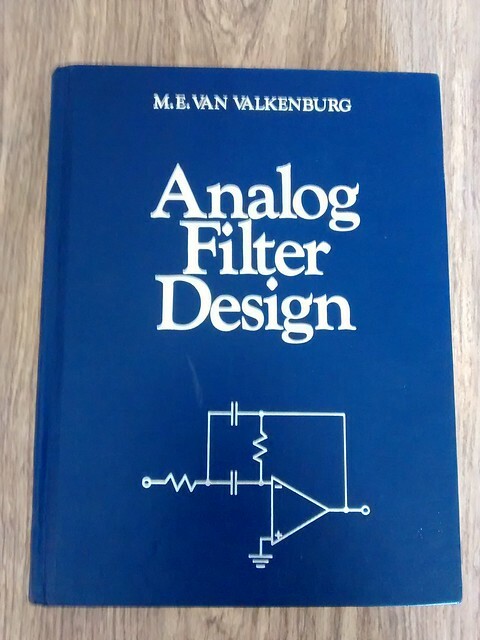 This book helped me get a basic grasp of what analog synthesizers are. A lot of his circuits make some pretty nice sounds/filtering, and they aren't too complex. I think this book is pretty good for beginners. Oh man, this is fantastic! I've been looking for these for a year now! some weeks ago and it has been all I have been thinking about since. I'm learning DIY circuits and stumbled upon a really great iOS app called the Keysight Electronics Handbook. Its packedwith useful info, logorithms, glossary and more. And its free. Is understanding calculus vital to building your own circuits? it's definitely very useful and for some things even necessary, but a lot can be done if you're just able to apply ohm's law, kirchoff's law and some trial and error prototyping. There are definitely some great useful resources listed here already. As others have mentioned, googling is not as rewarding as usual, it really takes those with insights to find (and share) the location of those needles in the haystack ... anyway, i'm still curious to establish if there's a front-runner or indeed a real-world benefit to using any of the free circuit simulators available - i'm thinking beyond examples where you could derive the answer from first principles and looking for something where you may be able to predict (and scope) the output of e.g a circuit using a 555 timer chip ? ps: cutting to the chase scene, any links (or thoughts) to a proven simple chip-less circuit that i could 'passively' embed in a cable to convert a gate-on to a trigger/pulse (along the lines of those that convert v-trig to s-trig) ? I am searching for some information regardin the synthesis domain, such as how voltage / digital are best to be handled and I am also on the search for some materials of the electronic side, as they are shown here but slightly more pointed to technical / functioning issues despite of how they have to be implemented throught the parts, etc. Kadenze.com does free courses on arts and technology crossovers with lecturers from CalArts and other universities. If you want grades and feedback, it's $7/month for unlimited classes. Great stuff. Craque, you just reminded me that i have gots to read some mim! How can i think i understand any of this when i still haven't? Does anyone know where i can learn how to buy cable from amazon. I need to connect pots and jacks to my circuit boards.. so far I've only found cable that is far too thick to work with and stuff that is so thin as to seem like i probably shouldn't use it for audio signals. I've spent ages searching local stores and amazon and had no idea finding cable would be so difficult. There's far too much of it and i know have even less of an idea what i'm looking for than when I started. Hello all, brand newbie here. Has any one tried the electronics course from Linda.com. Just wanted to thank everyone that contributed here. There's was a hell of a lot of reading to be done both before and after my first kit build, but I'm pretty sure I wouldn't have even finished without this thread. lots chapters about Diy techniques, filters , vco's and audio amplifiers. and comprehensive guide by Craig Anderton" Electronic project for Musicians "
Synth DIY wiki info for DIY modular synths and other electronic musical instruments and related equipment. Great thread I've learned so much. Watched the whole class and now I'm off to the races. Bumping this for later research. one more approach to learning here, especially suited for me because the info is somewhat compactly presented, and there are simple, also for me in real life quickly doable schematics for alot of things, for example a simple unity gain audio mixer in the op amps section. a good way to get going before looking into more optimised designs. Maker.IE Resources - particulalry this is good for simple stuff. HipDestroyer, thanks for the links they are super practical! Stuff to add to the list. would strongly recommend satellite ccrma to those with more of a DSP programming background. 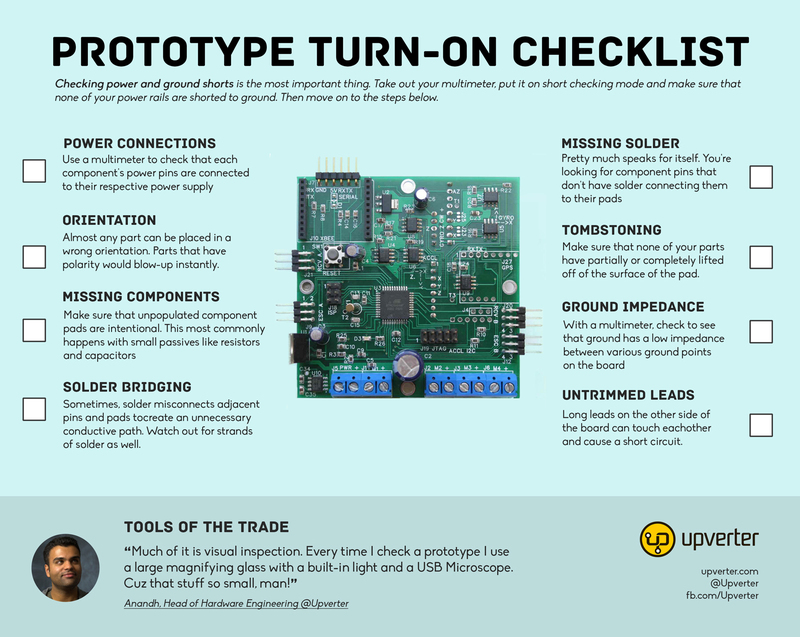 great resource for prototyping embedded instruments ! Hello, my little contribution... : How to fix Davies clone 6,3mm vs 6mm shaft potentiometer... to avoid eccentric shaft. Great resource! I've got an old price of gear with some nice components, and would love to learn how to break it down and build a custom module. It's a Roland SP-808. It has an oscillator and a really cool back of effects. I've been served notice of a copyright claim to songs used in this lecture. I disputed them seeing as it's fair use to demo parts of music for learning. Response from reviewers was denied...they probably have automated this part of the process also. If anyone has issues with playback let me know, I'll find a place to re-post. I have these courses all backed up. Just watched the first two lectures, which were very informative, then the links quit working. Fair use doesn't seem to apply to popular music in the age of internet spiders from lawyers. Hope the lectures can be reposted, even if you have to cut the recorded examples. Thanks for keeping on trying! I've just joined and am learning about modular. Thanks for posting all of the cool resource info. I'm new here and beginner at eurorack DIY. I was wondering if there is any place to start/simple example circuits to start with for voltage to frequencies conversion? I know that it might be a popular question in that forum, but I can't found anything yet. Just to be more detailed, I'm using the pitch out and gate cv out of a micro brute to my new VCO prototype (555 IC based) but without any kind of conversion circuit, I can't seem to have accurate pitch/notes out of my VCO. Thanks for your advices! this was expensive ($100) until I found it on ebay for $12 shipped in mint condition hardcover. years waiting to buy this book and now I have it. Anyone know if this is even possble? Hello dear DIYers.I found some metarial for you.Here is the online courses about Analog Electronics.These lessons are from METU which is the best university in Tukey.Instructor has very awful pronunciation i hope you can understand.Also you can download lecture notes in PDF format. Im a long time synth noodler and forum lurker, but finally making the jump into DIY and would like to ask for a bit of help. I ordered musicpcb Gristleizer and Echo Base delay PCBs. I have the pdf guides from musicpcb, but i'm a little confused by the BOM. Is there somewhere on the forum where someone who has built one might be able to check over my BOM before I order it? I knew you guys would have what I was looking for. My iron (Hakko) and other needed tools showed up yesterday, and I'm waiting on a little Thonk EQ and attenuator modules. Then I have Penrose Quantizer lined up, followed by a Turing Machine II+ Volts. If all goes well, the plan is to then add a dual LPG, Befaco Rampage and then get on the TWO59 VCOs and waveshaper (saving these for last). That alone is a nice setup, in addition to what other modules I already have. I just can no longer keep buying brand new $500 modules, and I'm hoping the labor of love will only increase my understanding of, and interest in modular synthesis. I'm new to west coast stuff, and that's basically the goal with the DIY. That should be enough to keep me busy for a while, eh? I've wanted to do this for a while, and have some time off for a few months starting now. I will devour these resources and rely on my conscientiousness and obsessiveness to get the job done. I just wanted to add my new SDIY Channel to this thread. I''m making weekly videos of kit reviews and tutorials, enjoy! I have 3 of these in my racks. Is it just solder that leaked through from the underside or am I missing something? Wow this thread is amazing, thank you all. The EMS lectures are gold. I've been getting into DIY for the past 6 months, just mainly Kits for now. But I've started designing my own eurorack audio mixer using eagle and I'm having trouble looking for parts ie: sliding potentiometers, Does anyone know of any good librarys for snyth related parts. PS: sorry if this is the wrong place to ask, Im pretty new to Muffwiggler. but are those the one from Thonk? Everything was built and worked first try, problem is that when you hit more than one key it gives some higher note that isn't even in the octave range I've tuned it for. I've gathered that this isn't exactly a standard vco type tone generator. I've searched everywhere trying to find some information on how note priority is implemented into this type of circuit. Would it be mechanical? Maybe breaking connection to lower notes when higher note is played? And information to help me push this project forward would be so greatly appreciated. This is my first post by the way, happy to find a community of like minded people. I just did a quick ctrl-f of this thread, and I didn't see the EEVblog listed as a resource for learning electronics. Many of the topics covered aren't particularly useful to the crowd here, but many of them are. Plenty of really good stuff here for the electronics side of things...I’m feeling a bit overwhelmed! So I’ve been building kits now for a little while and have decided to learn a bit more about electronics so I can understand how the circuits work (hopefully). I’m currently going through the online course that was posted here along with some forest mims books and random searches for data sheets etc on the internet. One thing I know is I hate breadboarding, it seems really fiddly and I soon lose track of what’s going on. I’m guessing there is some software that would do the same but in the software realm? Any recommendations? What about all the other parts of the diy? Panel and PCB design? I think I’m ready to get into learning how to design my own circuits, pcbs and panels. Any pointers for resources for those would be much appreciated. Wow, this is a great list for someone who is just getting into DIY. Thanks for all these resources! Because of this list, I've got up the courage to get a MFOS PCB and have ordered the parts I need for my first project. Analog Devices delivering a series of videos on filter design. This is a playlist so don't stop after the first one! This is old but a gold mine! Anyone know of any decent audio books or podcasts for learning this sort of thing? I've been putting together a spreadsheet to consolidate some audio electronics DIY information/resources. I'm quite new to this and I'm really bad with schematics. Could please someone help me with this simple schematic? That is now a 404 (July 2018). Whouw, this is awesome, how deep is this rabit hole? Thanks a lot for this wonderful thread !!!! A lot of the older links are unsurprisingly broken such as a lot of the technical articles by Ken Stone which seem to be held in high esteem here. Does anyone else know where some more of the scholarly articles may be archived? No math formulas just see what happen with voltage, current and resistor in real time. Thank you J3RK for the link ! I was about to ask if anyone anything on wavefolding and this looks like a good place to start. Thanks.